Unlimited downloads for life—Best value! 80,000+ vehicle templates for vehicle wrap experts worldwide. New models added all the time to extensive collection of North American, European & Asian templates. 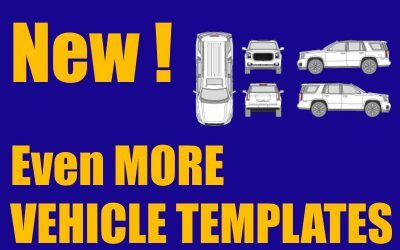 Templates accurately drawn at 1:20 scale to make your vehicle wrap work easier. Produce professional vehicle wraps with lettering, graphics, photos & whatever you want on a vehicle. Templates have all important details like door handles, fuel caps, rails & much more. Our high-end 3D presentation system converts your 2D vehicle template designs to 3D presentation videos & renderings. There are more than 80,000 vehicles covered by our vehicle template library. Use the search/download form to see if the templates you need are included in the collection. Searching is free and no subscription is required! Can I try some templates? Of course you can. Sign up for a free subscription and you can download unlimited templates for models from 2007 and earlier. Make sure to check our tutorials for how to use the templates in your favorite software. We know cars! And trucks…and vans…pickups, and so on. When a customer calls and their description of their vehicle is vague or sketchy, or the measurements just don’t add up — we’ve got you covered. What if there was a year change for that vehicle? Extensive range of commercial vehicle templates! We carry over 99% of all the commercial model vehicles stretching back more than 20 years. Type of vehicle templates! The combination of extensive North American, European and Asian collections ensures that customers have all the vehicle templates they need at their immediate disposal. Accuracy! Our production artists generally devote four to six hours constructing a single vehicle template! That may seem excessive, but not when you expect to see incredible levels of accuracy in our vehicle templates. We have 20 years of experience in making the best vehicle templates for vehicle graphics and wraps. Unlimited upgrade vehicle templates! 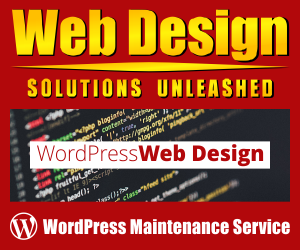 For 365 days from the day of purchase you have unlimited access to all existing and upcoming vehicle templates on our Web site. Besides the new vehicle templates you also have access to the vehicle drawings saved in different file formats; some of these formats are already saved in 1/1 scale. Want to know how to use the templates in your favorite software or how to create 3D vehicle renderings? We’ve got a number of tutorials to help you! 3D Vehicle Models Specially Made for the Vehicle Wrapping Industry! For fast and easy photo-realistic renderings of vehicle designs and/or animated video files we offer the MR 3D-Design System Windows software, perfectly adapted for the sign industry. Our goal is to provide you with 3D models of actual vehicles. Fast and easy as 1, 2, 3. Check out the tutorials to see just how easy it is to create 3D renderings of your vehicle wrap designs. All 3D models come with the 2D template for the creation of the design in your graphic design or signmaking application. Furthermore, we have surroundings like shop fronts, parking lots etc. and animated scenery to make it even faster and easier to create really professional 3D-presentations. The best thing with this system is that there is no need to learn how to work with new software. You still create the design in your existing graphic or signmaking application using our 2D images (i.e., the vehicle templates from our Car ‘n Truck Collection). When your design work is done, import the file into the MR 3D-Designer and a few clicks later your 3D presentation is ready. Animated videos can also be produced within minutes.